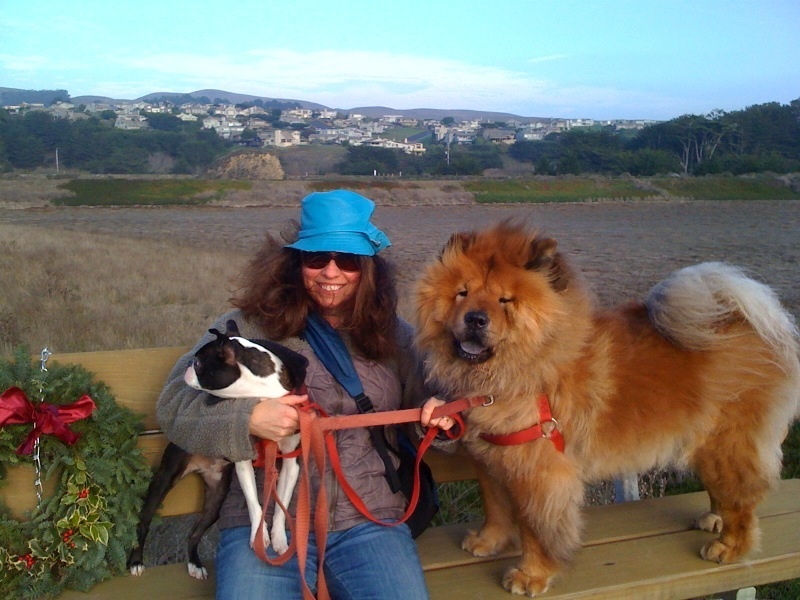 This week’s Best Women’s Travel Writing 2010 contributor is a Northern Californian who loves to eat, drink, and travel: Marcy Gordon. 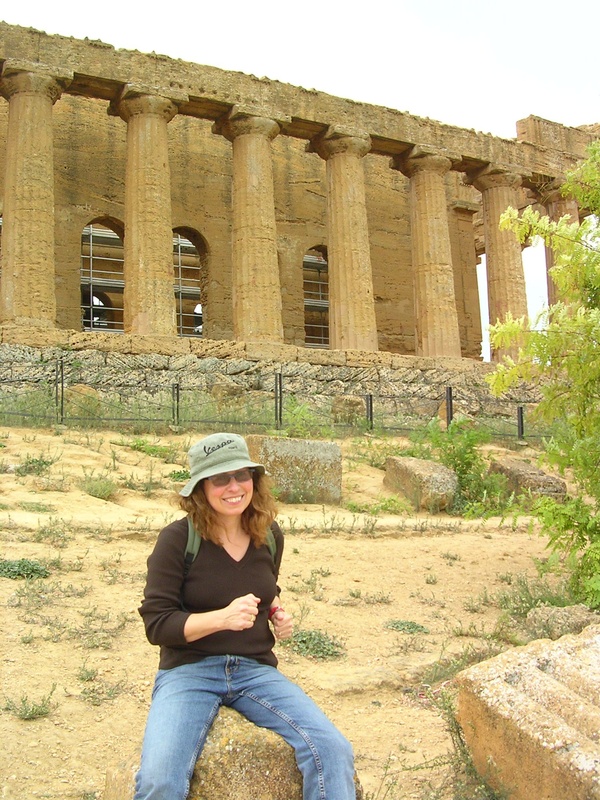 An editor for the Authentic Italy guidebook series, she is currently writing a memoir called Come for the Wine, Stay for The Surgery: Food, Wine and Misfortune in Italy. Visit her blog at http://comeforthewine.com. What is ‘home’ for you? Is it a particular place or person or thing? Home is anywhere my dogs are. The minute I am around my animals I am deeply settled. The presence of my dogs makes me feel complete and at ease. I wish I could travel with them everywhere. I first traveled solo when I was nine to visit relatives in New York City. I remember that trip very well. It felt so freeing to be on my own in the airport. I felt giddy with the sense of possibilities. I remember thinking maybe I could just sneak on to some other flight. I had this whole stowaway fantasy and was aching to have some crazy adventure on my own. My first trip to Europe was with my parents when I was twelve. In high school I traveled with a performing arts group throughout Mexico and Italy. By the time I was eighteen I’d been to over 20 countries. Oddly enough the very first travel story I ever submitted was published. Sheer Luck! But I really started ‘travel writing’ on my first visit to Europe when I was twelve. I sent dispatches about the trip back home to my brother and sister. My mother saved the letters and I recently discovered them. They are hilarious and filled with the oddities I observed and funny little incidents that happened. The most startling thing I noticed when I re-read the letters is that my style has not changed all that much! I’d enter the historic Mille Miglia road race. It’s a three-day race that winds over 1,000 miles of roads through Italy. It starts in the North of Italy, in Brescia and then runs across the regions of Lombardy, Veneto, Emilia Romanga, down through the Marches, Umbria, and Lazio to Rome, and then back up to Brescia through Tuscany. I’d go with my father and we would drive in a vintage Ferrari. Eighty years ago the Mille Miglia was an all out speed fest, but these days the race is more like a road rally with timed stops and much merriment, food and wine along the route. My fondest memories of my dad are the Sunday drives he and I took when I was a kid in a little two-seat sports car. I was lucky to see Italy with him when he was alive, but it would be a great thrill, a dream come true, to enter the Mille Miglia with him now. For travel writers specifically, I like Jan Morris, Bill Bryson, and Tim Parks, to name a few. But I am more inspired by fiction books that have a sense of place or that feature a place as the main character. Jeff in Venice, Death in Varanasi by Geoff Dyer is one recent book I found inspiring that features a particular place front and center. I think a trip to your ancestral homeland is something that everyone should do. Walking the streets where your grandparents, or great grandparents, came from is a very powerful experience. Also on the list should be a deep wilderness experience. Somewhere you can be completely untethered to the modern world. It’s getting harder to do these days, but everyone should go up a mountain, down an isolated river, or through a jungle, and just get away from a cell signal. Maps. Old-school printed paper maps. Especially hiking trail maps. I love to get a feel for the lay of the land before I go somewhere. I also consult books about the food and wine of a region but not necessarily guide books per se. I like to use cookbooks as a travel resource. You have to buy Travel Medical Insurance BEFORE you go on a trip! Travel Medical insurance is a very good thing to have even if you are very young and healthy. It won’t prevent a calamity from happening, but it will make your family happy to know you have it. Then if something does go wrong, they don’t have to spend a lot of money to fetch your body from some dark and difficult to reach corner of the planet. Don’t wait for anyone or anything. Just damn the torpedoes and go. This is easy for me to say because I had a very good travel role model. 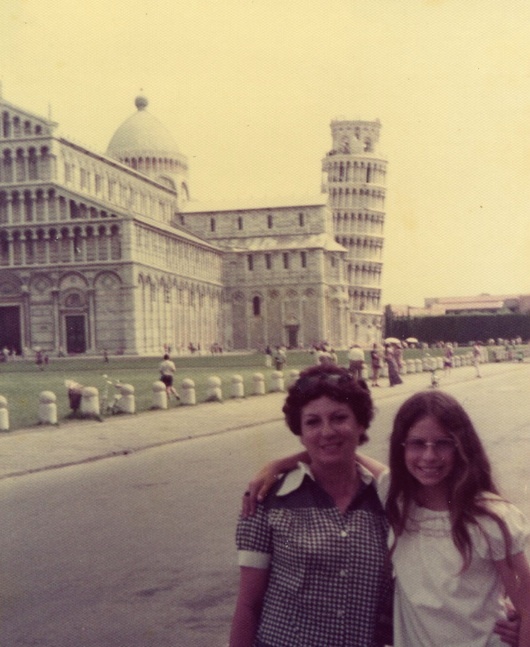 Even when my mother had a full-time job, a husband, and three children under the age of eighteen, it did not stop her from traveling all over the world. Also don’t be afraid to travel alone. I think traveling alone is the best way to gain insight about yourself. What a delightful writer Marcy Gordon is. Just reading her answers was fun! And some good advice. Never really think about travel insurance when I’m in a foreign country. Hmm. Maybe I’ll start. I thought for sure your dream trip would be with me. Reconsider. You won’t be sorry. Branson, MO, baby! Great looking dogs. Perfectly paired, as with an artistic sense of the absurd. Shows a sense of humor. So do your answers. So does your writing. You’re never alone with a sense of humor. You know a motorcycle trip could be very fun! You should try it sometime! Enjoy! 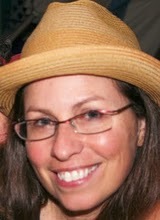 I was just going through the internet looking at wineries when I ran across your pic and I knew it was you from the hat. Drop me an E-mail(dirtinohio@yahoo.com) and we can talk about the past 30 years! Looks like your having fun! I’ve been busy with a wife, 4 kids, 4 dogs and all the fun involved with it! I did build my house 8 miles from my favorite local winery, so I get a regular taste! Would like to here from you. Your long lost Gator pal.